Our kaleidoscopic collection has been selected for the IJL trend alert Chase The Rainbow! A round up of our latest series of gemstone round table events with lots of gemmy photos! Being half American is very dear to me especially when that ties me to Virginia, where my Mother was born in Lynchburg. I've always felt at home there especially as an escape from the frenetic pace of London so you couldn't have a better location for an artistic retreat. At the end of a long winding driveway, tucked amongst lush woodland with the Blue Ridge Mountains on the horizon you'll find the Virginia Center for the Creative Arts (VCCA). Since I've been collaborating with them on an auction lot to raise funds during their Fête Champêtre on Saturday April 29th 2017, I was delighted to have the chance to look round their grounds, hear how things are run and even meet a couple of their residents last time I was in town. We were invited by the National Association of Jewellers to join them on their Great British Talent stand at the Jewellery and Watch Show. 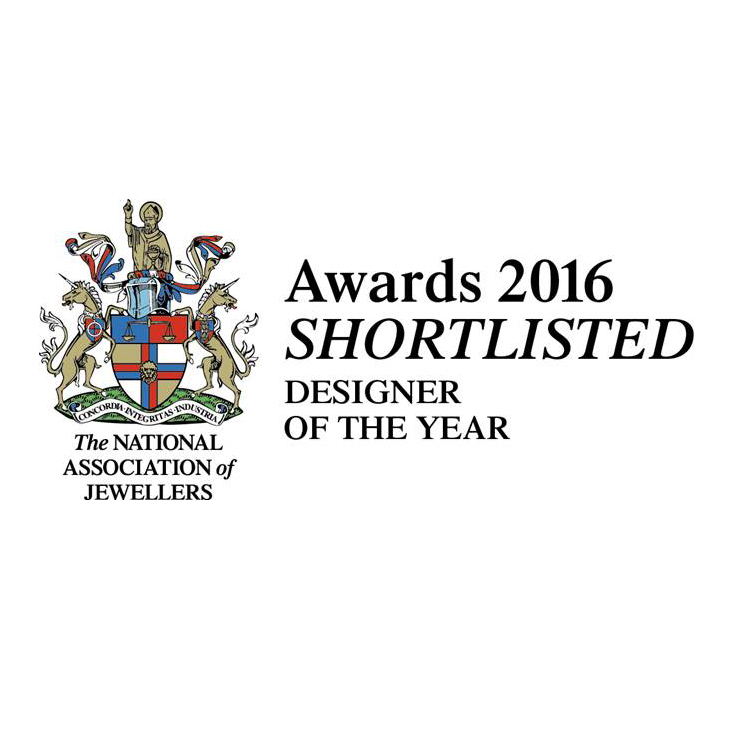 Congratulations to Susi on her award in the Goldsmith's Craft and Design Awards. To find out what she won, read here. International Jewellery London is over for another year, well, we still have a few boxes to unpack so it’s technically not quite over for us yet, but alas, their doors have closed. IJL is the UK’s leading trade event for the international jewellery industry. The event showcases the latest product ranges from over 550 high end, finished jewellery manufacturers, designers, loose gemstones and retail services suppliers and attracts an unparalleled range of jewellery focussed and pre-qualified buyers from 64 countries. We have been attending IJL as visitors for a few years now, but this was The Rock Hounds first time as exhibitors and we are pleased to say, it went really well! We had so much fun, we have already signed up for next year! Organising our first ever trade show seemed like a mammoth task but supported by the IJL team we tackled the paperwork and check lists whilst Hammond PR guided us through the media side; this led to our Chromanteq collection being selected for the Graphic Punch 2017 trend set by Adorn Insight, essential trend forecasting and market intelligence for the jewellery industry. Planning over. It was certainly a shock walking into Olympia two days before the opening; lights were still being wired, walls were being painted and carpets fitted. How was it all going to be finished in time! Armed with a tonne of masking tape and paintbrushes ourselves, off we went to find our shell, Q38. We wanted to recreate a mini version of our studio, a home from home and that's exactly what we did. Remember the video of us revealing our facet wall first time around? Thankfully the wall wasn't quite so high this time. Set up finished. It was time to unveil our new collection, Chromanteq and wow, what a reaction. All we will say for now is watch this space! Chromanteq exhibits a myriad of coloured gemstones from around the world, chosen for their stunning examples of saturation and life. Brilliantly green Namibian Demantoids, vivid blue Afghan Tourmaline, orange Mandarin Garnet and hot pink Mahenge Spinel. Sourced closer to home are urban-mined gemstone which are given a new lease of life, sparkling pink Kunzite and warm pinky-orange Morganite. Underneath the vibrant nano ceramics you will find recycled 18ct White Gold, whilst 9ct Rose Gold shines simply, chosen for its warm tones. We will be listing all pieces from the Chromanteq collection to our website but purchases will be by appointment only. Please contact us if you would like to book a appointment. Back to IJL. Susi faceting live at our stand created such a buzz! If you signed up to our mailing list whilst at IJL, you were in with the chance of winning the Tanzanian Amethyst. We have already announced the winner across our social media channels and will be posting another GemVlog later today to show our progress on the stone. In-house faceting is a new direction for us, our passion to promote greater transparency within the jewellery supply chain has motivated us to learn new skills which enable us to shorten the gap between mine and market. Exciting stuff! One of the best things about IJL for us was the support from other jewellers exhibiting, everyone lending a helping hand and being supportive of one another. It really made the event special for us. It wasn't just a neighbour keeping an eye on your stand whilst you nipped to grab the coffees but more established jewellers giving friendly advice to newcomers, swapping contacts and introducing potential leads. We have made some really great new friends! As Fairtrade licences, it would have been rude not to pop in on the Fairtrade Gold Advice Clinic lead by Victoria Waugh, Gold Project Manager at Fairtrade Foundation. It was great to see so many new faces wanting to learn more about Fairtrade and always great to hear what other Fairtrade licensees are getting up to. We had a visit yesterday from the Fairtrade team and a Fairtrade Gold mining representative from Kenya, it was a great knowledge share and we can't wait to see the footage! I'm sure we will leak a few sneaky stills from behind the scenes for you, so keep checking our social channels. So that's it for another year. To get us through until then, we have fuchsia pink carpet on order and live orchestral music on loop. Make sure to put these dates in your diary - September 3rd-5th 2017 and don't forget, it's stand Q38! We're exhibiting at IJL this year, see you there! Photos from our event in April - Better late than never! Gemmology is an ever expanding field with new deposits being discovered and treatments to gemstones whether to enhance or deceive always throwing up new challenges. This is why we feel it is important to attend two conferences every year to keep our knowledge current. After months of working on our studio refit, the lights are up and the paint has finally dried, so what better way of showing it off but to host a trio of events.